Congratulations to Pat Sonoski, STS first shift foreman! Pat celebrated his 25th year at the Schuylkill Transportation System on Friday, October 9, 2015. 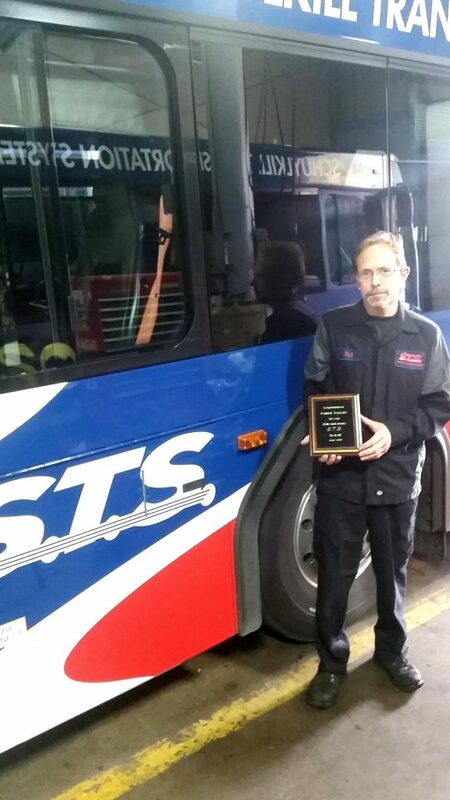 Thank you Pat for your service and dedication in keeping the STS fleet of vehicles up and running. From your staff and co-workers at STS!